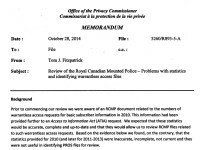 Post Tagged with: "privacy commissioner"
Last week’s revelations on the massive number of requests for subscriber information focused specifically on the responses from major Canadian telecom and Internet providers. The Privacy Commissioner of Canada wrote to the 12 largest providers, who responded with a single document that aggregated the responses of 11 of the companies (though some declined to provide information to questions such as how many user accounts were disclosed). The Access to Information Act requested documents that contained the telco response also revealed that the Privacy Commissioner sent a similar letter to the leading Internet and technology companies. 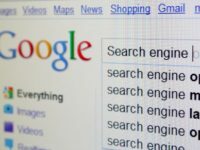 The list of recipients included Apple, Google, Facebook, Microsoft, Twitter, and eBay. While some of the companies now offer transparency reports that feature data on disclosure requests (and compliance with those requests), few did in 2011. On Friday, I received a supplemental document to my access to information request that contains the full response from Apple Canada. The federal government has announced that Chantal Bernier will take over as Interim Privacy Commissioner next week with the end of Jennifer Stoddart’s term. The government is currently advertising the position.